Two bedroom units are making a come back, as developers are starting to cater to end-users rather than investors. "Developers across the GTA are now doing a major rethink, and a retooling, with a host of projects that will feature fewer tiny units and more spaces where people can really live. Tridel was surprised when sales launched in the summer of 2013 for its 362-unit Aqualina Bayside project on Queen’s Quay. The company found that the units in highest demand were some of the biggest and most pricey. Those units are typically the last to sell, which is why developers have flooded the condo market with so many one-bedrooms and even micro-condos up to 500 square feet. They have been hugely popular with investors looking to buy a unit and rent it out. In fact, of the 100 units in Aqualina that sold for over $500,000, 31 of them were over $1 million and about 1,500 square feet. Over the last five years in particular, unit sizes have been shrinking. Part of that has been a legitimate effort by developers to keep prices below $450,000 in the face of escalating land and development costs: Above that, buyers lose most HST rebates. But small condos also fed intense investor demand, which remains surprisingly strong but has eased from its 2011 peak. In 2009, for instance, condo projects launched in the GTA had units averaging 929 square feet. 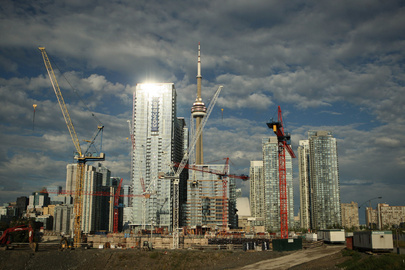 By this year, new GTA projects launching sales had lost the equivalent of a bedroom and hit a low averaging 812 square feet, according to RealNet research. The loss of living space has been even more pronounced in the popular downtown core. But already, unit sizes are starting to creep back up, says RealNet president George Carras. The down side, however, is that average prices will also climb as units get bigger – and that’s worrisome given that the average cost of a new condo has already reached $455,000 as of this fall, not including monthly maintenance fees, according to RealNet. As of the end of this year, with developers looking to build bigger, the mix is returning to 2004 levels, with one bedrooms making up 48 per cent of new launches and two-bedrooms catching up at 41 per cent."